The 420 Book Society is a book club for the cannabis enthusiast and curious! It was created to provide education in the comfort and privacy of your home with our featured book of the month, plus 2-3 unique and educational essentials to enhance the learning experience, delivered right to your door every month! 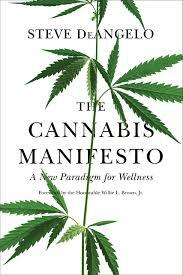 Some of our past features include “The Cannabis Manifesto”, by Steve DeAngelo or as it’s better known “The one book every cannabis enthusiast should read” and we couldn’t agree more. The Cannabis Manifesto presents a compelling case for why cannabis must be legalized and how every cannabis user is a medical patient. Just starting your journey with plant? “The ABC’s of CBD” by Shira Alder, ”The Essential Guide for Parents” (and regular folks too)! is a practical and informative guide to understanding CBD and “Why Pot is Not What We We’re Taught” and how this magnificent plant can help make you better without getting you “stoned”! This is a must read for anyone wanting to learn about CBD, Cannabis, Hemp and the therapeutic potentials! 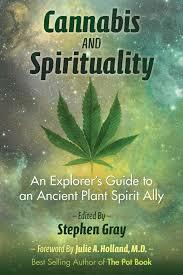 Explore the spiritual side of the plant with “Cannabis and Spirituality”, An Explorers Guide to an Ancient Plant Spirit Ally by Stephen Gray. “Cannabis and Spirituality” reveals the potential of “the people’s plant” to enhance many different spiritual practices, included yoga, meditation, visualization, and much more. This guide shows how cannabis is an effective tool on the awakening journey, helping us feel closer to nature, each other and ourselves! If a monthly subscription isn’t for you, that’s okay! Follow us on Instagram or visit our website for even more unique and informative books including “Dispensary Life, A Survival Guide To Budtending In A Cannabis Legal State.” by Bethany Weisbacher. This book will take you through the ins and outs of the inner workings of a dispensary and what you need to know to survive! Or show off your mixologist skills with “Cannabis Cocktails, Mocktails & Tonics, The Art of Spirited Drinks & Buzz-Worthy Libations” by Warren Bobrow and elevate your next cocktail party!